On May 12, Bangladesh’s space age has dawned with the successful launch of Bangabandhu-1 satellite by SpaceX into orbit. An anticipated and arguably the most significant incident in the country’s ICT sector, the launching of BS-1 was earlier deterred on a number of occasions, fueling skepticism and speculation among common people. Getting these satellites into space is no cakework as it requires a complex procedure including a number of test runs and favorable weather conditions. Earlier on May 11, the computers triggered an auto-abort with less than a minute left on the countdown clock over a presumed technical glitch. Later, the Elon Musk-led company said it had reserved a backup launch window and Bangladeshis across the globe kept their eyes glued to live broadcast in the wee hours of Saturday to watch the big event with bated breath. Clearing all doubts, the communications satellite rode into space on top of Block 5 Falcon 9 rocket that took off for its debut flight from NASA’s launchpad 39A at Kennedy Space Center at Cape Canaveral at 2:14am on Saturday Bangladesh time. The Bangabandhu Satellite-1 mission is the first to use Falcon 9 Block 5, the final substantial upgrade to SpaceX’s Falcon 9 launch vehicle, which delivered the satellite to a geostationary transfer orbit. The Falcon 9 Block 5 rocket’s first stage landed on a droneship in the Atlantic 8:45 minutes after the liftoff, according to SpaceX.The satellite was deployed into a geostationary transfer orbit approximately 33 minutes after the launch, SpaceX said. The launch complex 39-A at the space centre is the historic one used to launch Apollo 11 to its mission to the Moon. The satellite travelled 22,000 miles above Earth into the space, where it will provide telecommunications coverage for Bangladesh and surrounding areas. It will take nearly a month to bring the satellite under complete control of three ground stations in the US, Italy and South Korea. Once it is completely operational, the control will be transferred to the ground station in Bangladesh – which will take another month. The Bangabandhu satellite’s ground station has been built in Gazipur’s Joydebpur. A backup station has also been built in Rangamati’s Betbunia. Bangabandhu-1 carries 26 Ku-band transponders and 14 C-band transponders, and is designed to operate for at least 15 years in geostationary orbit. In addition to Bangladesh, the satellite’s coverage includes India, Nepal, Bhutan, Sri Lanka, the Philippines, Indonesia and several central Asian countries. Bangladesh, the world’s 44th largest economy in nominal term has entered the elite space club of 57 nations with the launch of Bangabandhu-1. It is the latest in a growing number of nations to “put their flag in space” by launching a national satellite. Other recent entrants include Belarus, Laos and Algeria. It comes only two months after Bangladesh met the eligibility requirements for “Developing Country” status by the United Nations on March 17, 2018. For the South Asian nation of 170 million, the launch is the culmination of several years’ worth of work to operate its own telecom satellite. “The satellite will be a great addition to our Information Technology heralding our entry into the Satellite Club of the world,” Prime Minister Sheikh Hasina said after the successful launching of Bangabandhu-1 into the space. She thanked the satellite building and launching company, the US and the French governments for their support. Hasina also praised Russia for renting its orbital slot to Bangladesh. Bangladesh earlier had orbital slots from the United Nation’s International Telecommunication Union that it considered too far from Bangladesh to ensure reliable satellite services. 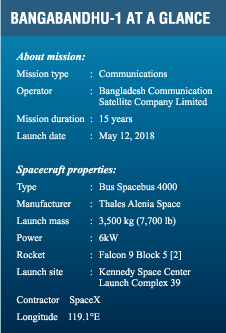 After years of seeking better orbital locations, the Bangladesh Telecommunications Regulatory Commission (BTRC) hired consulting firm Space Partnership International (SPI) of Bethesda, Maryland in 2012 to guide the nation in obtaining a better slot and through the acquisition of Bangabandhu-1. SPI helped BTRC secure an orbital slot closer to Bangladesh at 119.1 degrees east from the Russian company Intersputnik for $28 million. 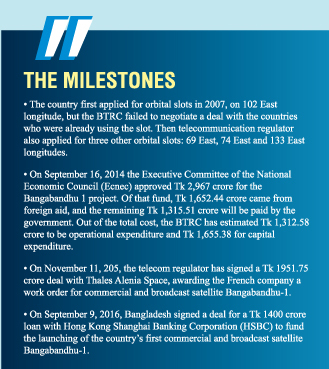 BTRC purchased a turnkey contract for Bangabandhu-1 from European satellite manufacturer Thales Alenia Space in 2015 for $248 million that included the construction of ground infrastructure for satellite operations and the provisioning of a launch vehicle. Patriotism and international prestige were especially prominent motivations for Bangladesh. 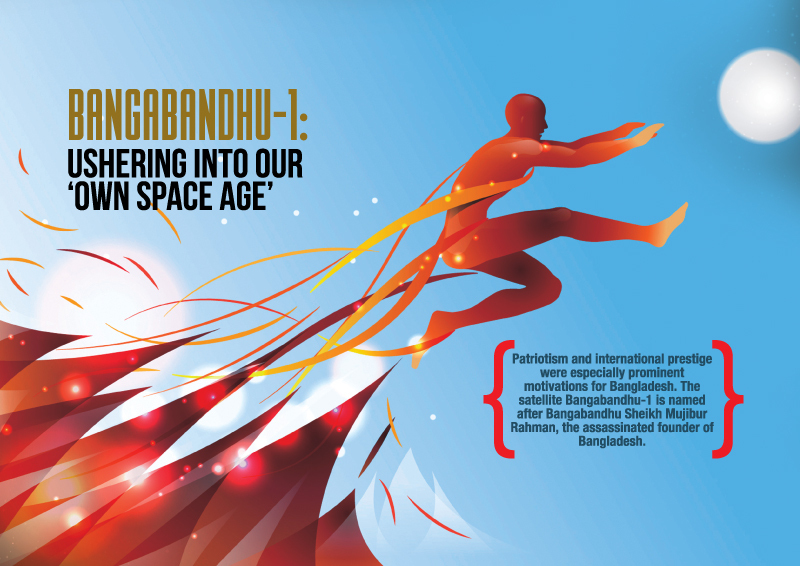 The satellite Bangabandhu-1 is named after Bangabandhu Sheikh Mujibur Rahman, the assassinated founder of Bangladesh. Nationalism as a motivation for new satellites is a concern for commercial operators who worry new entrants will distort markets by disregarding supply and demand. But Bangladesh’s satellite exists for more than just the sake of having a satellite. The country plans to use Bangabandhu-1 to further the digitization of the nation with e-learning television programs and other services to reduce its domestic digital divide. BTRC estimates Bangabandhu-1 will save the country around $14 million currently spent leasing capacity from foreign operators. In an interview with SpaceNews, Sajeeb Wazed, Prime Minister Sheikh Hasina’s ICT Advisor said the number is closer to $15 million to $30 million. The government is also expecting to earn Tk 2.5 to 3 billion annually from the satellite and start making profit in six to seven years’ time. The profit, however, seems not be the main purpose to be served by the satellite. Other than providing internet to rural communities, it will offer the potential to improve agriculture and disaster planning, and ensure national security, which the government thinks should not be measured in financial terms. The launch was a major milestone for SpaceX as well. 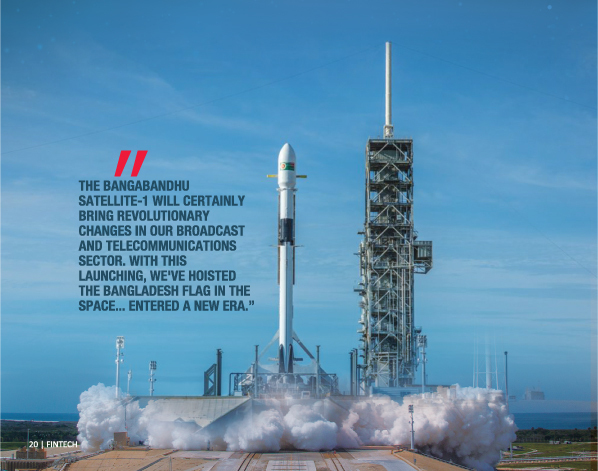 The launching of Bangabandhu-1 satellite was SpaceX’s 54th Falcon 9, and marked what the company hopes will be the beginning of a new chapter of accelerated reusability. This is because the Block 5 design of Falcon 9, aboard which the satellite went into orbit, is designed for 10 or more flights using the same first stage booster; previous versions were only designed to handle two or three flights. After the tenth launch, refurbishment could prolong the vehicle’s operational life to 100 missions, according to SpaceX. The rocket is the final design of Falcon 9, and features modifications for simpler manufacturing, to meet NASA commercial crew requirements, and to include Air Force requests. NASA and satellite fleet operator SES both had and have motivation to take bold bets on SpaceX — NASA to cultivate private sector launch options for near-Earth activities, and SES to drive down prices in the global launch sector with new competition. So how did Bangladesh become the customer of SpaceX’s next big milestone? “It honestly just happened,” Sajeeb Wazed told SpaceNews. “That was basically SpaceX’s choice and we were fine with that. ” Wazed said BTRC required each bidder angling to build Bangabandhu-1 to also include a first-choice launch vehicle and a backup. The winning bid from Thales Alenia Space listed Arianespace’s Ariane 5 as the default launcher, he said. SpaceX’s Falcon 9 was the runner-up. 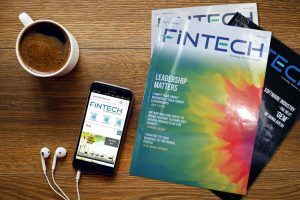 Bangladesh deemed schedule certainty as one of its biggest criteria — a factor that would typically play to the advantage of SpaceX rivals. Arianespace, when prevented from launching for five weeks last spring by local protests that blockaded Europe’s spaceport in French Guiana, caught up on three delayed missions in two months, preventing cascading delays on its manifest. But Arianespace couldn’t guarantee Bangladesh that its satellite would launch Dec. 16, 2017 — Bangladesh’s “National Victory Day” commemorating the surrender of Pakistani forces during the Bangladesh Liberation War in 1971. Ariane 5 rockets typically carry two satellites at a time, a larger satellite in the upper berth and a smaller satellite in the lower berth. Sharing launch vehicles lowers the cost for satellite operators, but requires their schedules to be in sync. Without that synchronization, delays can ensue. “Because the size of our satellite only fits in the lower berth of Ariane and they couldn’t guarantee us a launch slot by December, we had them switch to the backup,” Wazed said. “SpaceX wanted us to go on the Block 5 and we were OK with that. ” SpaceX obviously did not meet BTRC’s desired launch date, either. While 2017 was the launch provider’s most successful year with 18 missions, much of that was playing catch-up on launches delayed by Falcon 9 production strains and failures in 2015 and 2016.